Hello - I have a need to embed form data that a few of my forms generate. 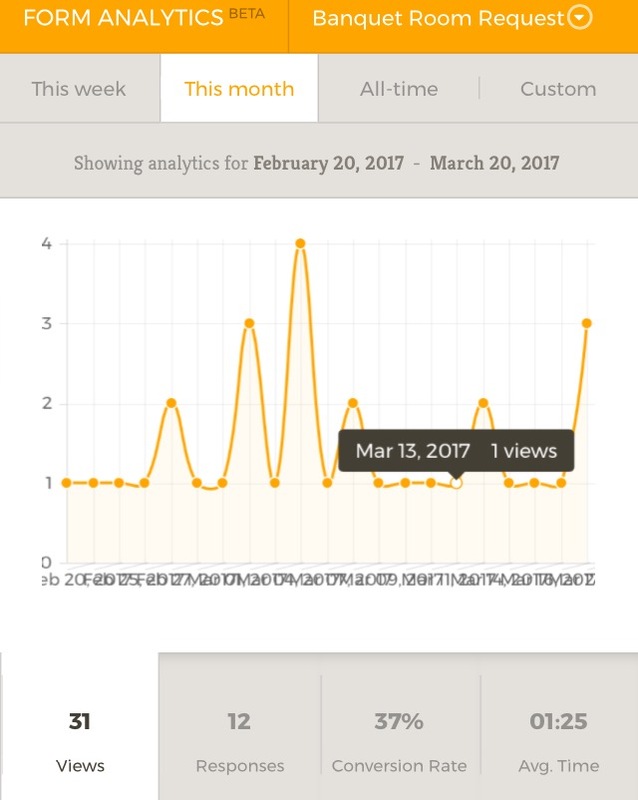 Is it possible to embed this data graph/form analytics on my website? Unfortunately, the analytics does not have a function to export or create an embeddable report. However, we do have a couple of reports that you can check out. Here's a guide about it: https://www.jotform.com/help/326-How-To-Create-Form-Reports-in-JotForm. The Visual Report builder, I think, would help a lot on your case: http://www.jotform.com/help/187-How-to-Create-a-Visual-Report-with-your-Form-Submissions. I will also forward this to our developers as a feature request, as I see there are other users who are looking for the same feature. Unfortunately, I cannot guarantee that this will be implemented. But we will update you on this thread as soon as we hear any news.